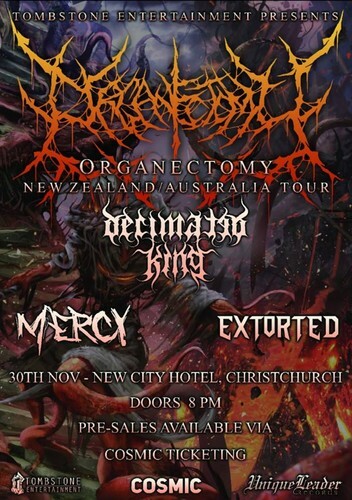 Organectomy are heading off on an Australian/New Zealand Tour this Summer! Tombstone Entertainment alongside Unique Leader Records is proud to present their Auckland and Christchurch shows! Featuring - Decimated King, Mercy and Extorted. Be sure to book your tickets and see you there!